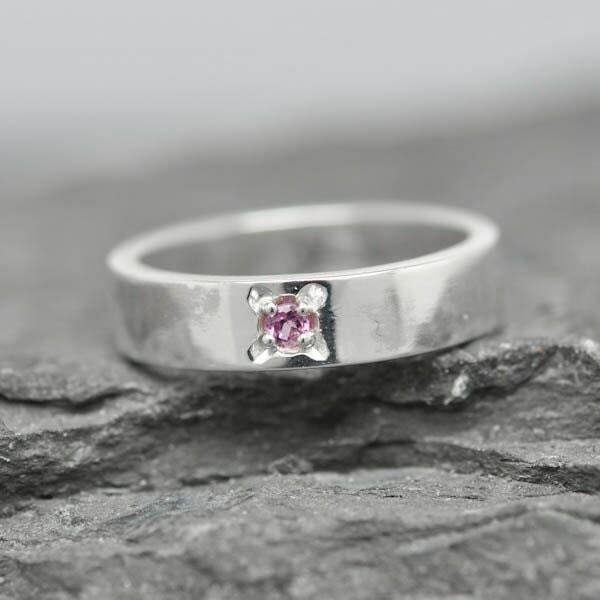 This post is for ONE custom made band made with 2mm pink sapphire gemstone set with 925 sterling silver ring. Thickness of the ring 4.5 mm. 1. Please choose the the band width from 3mm, 4mm or 5mm. Send me a message for specific width. 5. Additional $10 for engraving.